This book leaves off where the first story leaves off. 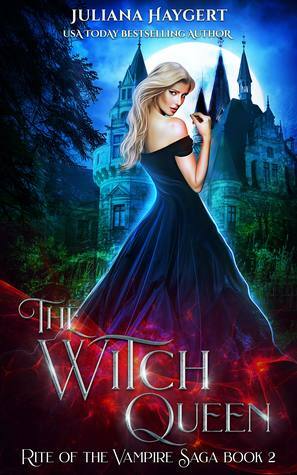 Thea is dealing with the aftermath, a broken heart, and helping her coven get their revenge. She must do everything in her power to find a way back to overcome the obstacles in her path. If Buffy the Vampire Slayer and Supernatural had a love child, this book series would be their baby. My heart was in my throat as I read the action-packed story. The one plot twist that I did not see coming had me screaming at a certain character. Their betrayal hurt me to the core. I couldn’t put this book down once I got it started. The plot was amazing. The author really put me on a rollercoaster of emotions with this story. I cannot wait for the next book. Even though it will be the last one, I am ready for my heart to be ripped from chest. If you read this book, you will get that reference. I will definitely recommend this story to others. Juliana Haygert has gained a fan for life in me.